Knowing when the price could go up—or down—could save you serious cash. 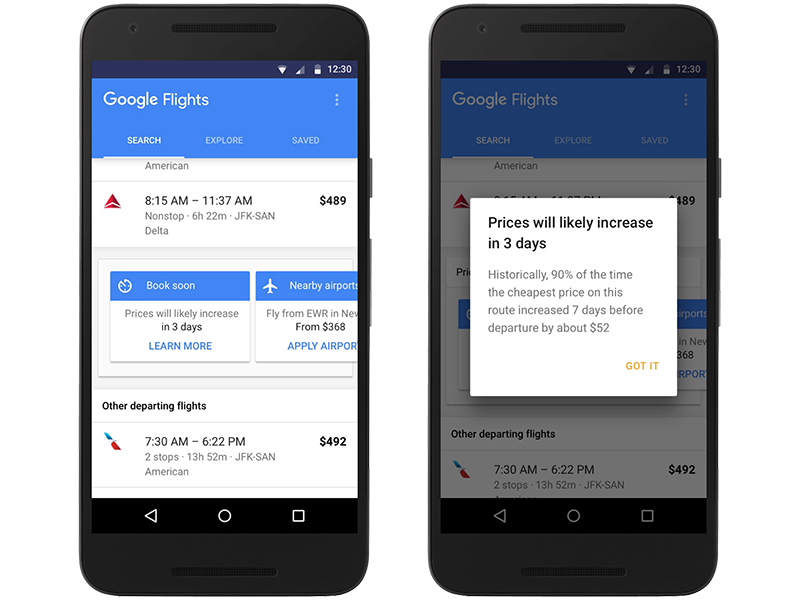 Everyone wants cheap airfares, and Google Flights is adding new tools to help you buy smarter—whether it's adjusting your itinerary or holding out for a better deal. 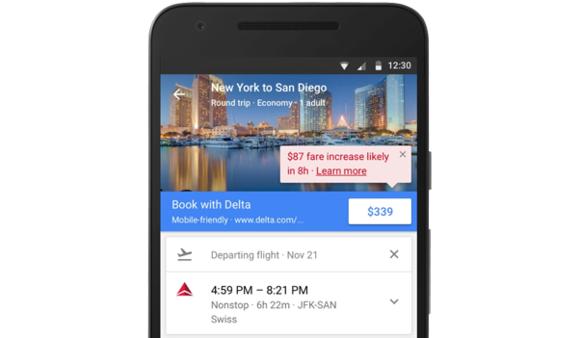 Google Flights will show you several new alerts depending on where you are in the booking process. If you’re just starting to search, Google Flights will display tips (shown as tiles on mobile) that may recommend trying alternate airports or different travel dates. Click any tip to get greater detail, such as when the price is likely to increase. If you’ve already selected a specific flight, Google Flights can show you alerts about when the fare is likely to increase. This can help you buy smarter, but it can also increase the pressure to buy if the price is expected to change in a matter of hours. Finally, Google Flights provides email notifications for tracking a flight, with alerts on predicted price jumps. On top of the new price prediction alerts, Google Flights is adding a deals filter to hotel searches. Also, a new Explore tab will help you figure out where you’d like to spend your next vacation. Why this matters: Any travel site can help you sift for cheap fares, but the price prediction tool takes it a step further by providing insight into the mysterious, black art of airfare pricing. This is a good thing for consumers, but it could also be a good thing for airlines, if the pricing trends push people to buy now.